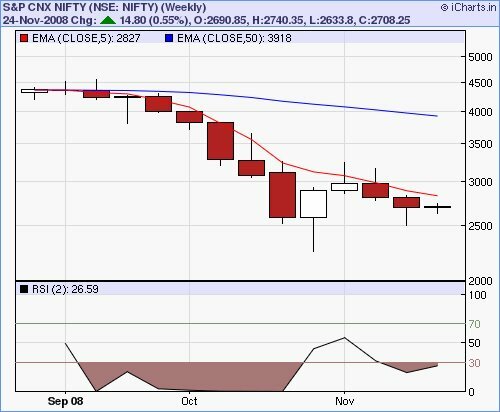 As per our 5 EMA Strategy, Nifty Weekly Charts shows resistance at 2827. Only if we close above 2827-2850 levels for this week, we can initiate fresh longs. So Not betting much on upside. Every upside is a clear sell.